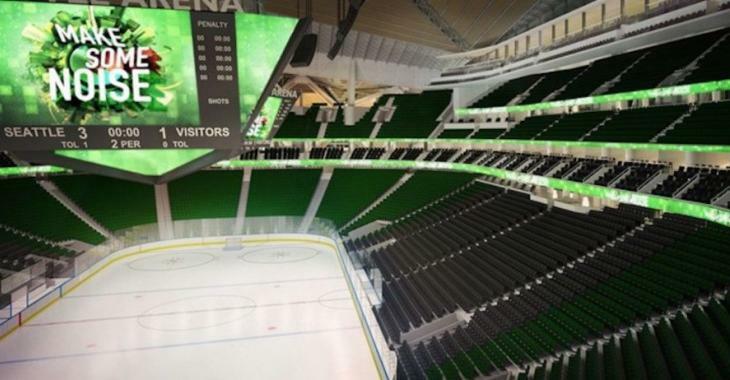 NHL News : NHL insider reveals colossal hurdle in Seattle's expansion plans! NHL insider reveals colossal hurdle in Seattle's expansion plans! Seattle's expansion dreams could be dashed because of Bettman! Things are going pretty well so far for the potential future expansion NHL franchise in Seattle... Last Thursday another step toward putting another NHL team in the Pacific Northwest after the group led by billionaire David Bonderman and filmmaker Jerry Bruckheimer submitted an expansion application to the league for a team in Seattle in February was underway. The Los Angeles-based Oak View Group revealed on Twitter that it reached its initial goal of 10,000 deposits in 12 minutes, and finally received more than 25,000 deposits for season tickets through a ticket drive. It seems more and more certain that Seattle will get its hockey club, the 32nd team in the league. But, let's not get too excited. Sure the ticket drive went so well that a franchise vote is expected to take place this summer. Sure, fans are pumped, so much that a young student from Colorado State University designed what could be the possible logo, jerseys, tickets and social media accounts of the new expansion team for his Graphic Design Independent Study course. Justin Fox chose the fictitious name of the Seattle Metros in reference to the Metropolitans who evolved from 1915 to 1924 in the Pacific Coast Hockey Association, and won the Stanley Cup back in 1917. People loved it, and with reason, it is quite impressive. However, NHL insider Elliotte Friedman pointed out something any fan of the NHL must keep in mind, especially when it comes to the potential inaugural season of the new team in Seattle. There seems to be a major obstacle in the way, as Friedman reports in his latest 31 Thoughts, which came out on Thursday on Sportsnet. "The early success of Seattle’s ticket drive will likely mean a franchise vote as early as the next Board of Governors meeting in June. The one thing that sticks out to me: the 2020-21 season (when Key Arena renovations are to be completed) is a potential lockout/strike year. That’s less than ideal." It’s quite evident that the Seattle market is ready for an NHL franchise, but no one can stop a lockout or a strike if the players and the NHL cannot come to terms on the new collective bargaining agreement. Many the new team could sway the mind of NHL commissioner Gary Bettman, as the 32nd NHL club is yet another opportunity to make money... However, before we cross the bridge on another potential lockout/strike year, Seattle will focus on the nest natural step which is to wait for the next Board of Governors meeting in June to see if their team is approved.